SiteGround is a leading web hosting company with more than 12 years in the industry and over 500 000 hosted domains. Wе focus on top server performance and improved security with best in class all-SSD infrastructure, custom in-house developed solutions and latest speed technologies like NGINX, HHVM, PHP7 and HTTP/2 that make websites 100x faster and better protected. We are famous for our unmatched customer service thanks to our fast, experienced and super friendly team providing amazing help 24/7. Encouraged by our very own PHP dev team, we are proud to help nurture our local PHP community by supporting the Bulgarian PHP user group and getting involved in Bulgaria PHP Conference from the very start. Cyber security is a mile wide, and a mile deep. Hacked websites are only becoming more common, global hacker communities continue to grow and automate attacks. You might never know if your website was vulnerable. How do you keep up? At Sucuri,our labs are dedicated to researching and thwarting the latest and emerging threats to websites. We manage your website security needs, so that you can focus on what you’re best at: running your online presence. Passion is at the heart of everything we do. We have three defining principles – People. Process. Technology. We secure websites, so you don’t have to. eMerchantPay is an established payment service provider that provides international online, mobile and POS payment processing services to merchants across the globe. Additionally, eMerchantPay Limited is a principal member of Visa and MasterCard, effectively being an acquirer in its own right. 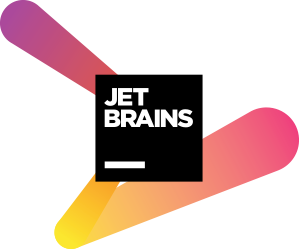 We are a self-funded, product-based company, and working on a number of challenging (both code and infrastructure), high-uptime (99.99%) payment products, utilising predominantly the Ruby and Rails stack. As a multi-paradigm, multi-language company, we are also happily using PHP for a number of projects, including our one-click-setup shopping cart plugins, a number of websites powered by the WordPress platform, and a few PHP libraries amongst others. SoftServe is a global IT company specializing in software development and consultancy services. Since 1993 we’ve been partnering with different sizeorganizations to help them accelerate growth and innovation and deliver new products to market.To achieve this we’ve built a team of 4,000 of the brightest, most enquiring minds in the industry and we deliver intuitive software that exceeds our clients’ expectations. Our experience stretches from Cloud, Security and UX Design to Big Analytics and the Internet of Things. Today we have representative offices and development centers in 28 major cities of 8 countries, including Bulgaria. Create interactive, realtime apps in minutes with your technology stack of choice by using Pusher’s hosted API. Pusher is perfect for realtime notifications, activity streams, data visualisations, collaborative apps and much more. It’s secure, it scales from one to millions of connections instantly and you won’t need to set up or maintain your own realtime infrastructure. eCommera, Linked by Isobar, is a bespoke service delivery hub for global brands in the heart of Sofia. We have a proven track record for delivering, managing and innovating multi-channel commerce platforms for major international brands and retailers including Clarins, Speedo, Asda Direct, House of Fraser and many more. Our world-class team has delivered sites for over 25 brands with more than 170 sites across 34 markets. Founded back in 2010 Delasport has built a name for itself as one of the leaders in the online gaming industry. 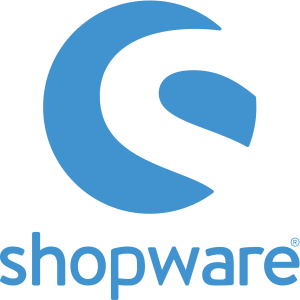 We strive to provide our partners and customers with high-end software solutions and to improve their overall gaming experience. We have assembled a team of top-level IT specialists who constantly research and develop the most innovative betting platforms. Delasport was established and is run by some of the pioneers in online sports betting. Thus, we are able to provide high-quality services, cutting-edge technology, and flexibility. Our products are the result of using new-age software technologies and dedicated IT work. 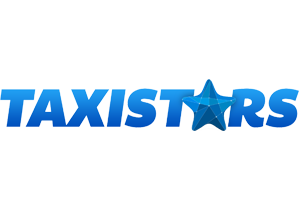 TAXISTARS is a platform that allows you to choose the best taxi driver. Easy to use smart app allows you to make your riding experience pleasant and safe. TAXISTARS guarantees you a fair price! TAXISTARS FOR BUSINESS is the corporate version of the service and provides a better transport management method for each company. The access to the service is easy and convenient, via mobile and online applications. It is completely paperless and companies receive electronic invoice for all their trips across various cities in Bulgaria. Download the app and have a nice taxi experience at www.taxistars.net ! PROGRAMISTA; JSC. is a fast growing IT company which provides high quality IT solutions by outstaffing top-notch talent. Presently the company is occupying centrally located Class A offices in Plovdiv and Sofia. Employs more than 130 highly qualified IT specialists – architects, developers, quality assurance specialists, network engineers, and UX/UI designers. The company is a sponsor of and a partner to universities, public foundations, scientific and cultural organizations. 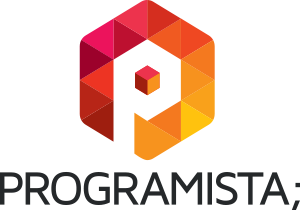 PROGRAMISTA;has developed and implemented its own undergraduate and graduateprograms in Software engineering in cooperation with The Veliko Turnovo University and the Sofia University for Architecture and Construction. Every great idea deserves a great domain name. With hundreds of domain extensions, no heavy­handed upselling and best­in­class support, Hover makes it easy to spend less time on your domains and more time on your big idea. 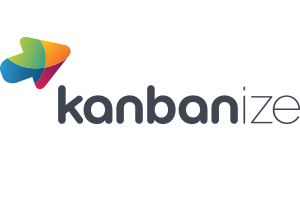 Kanbanize is an innovative and growing software development company that brings visualization, automation and efficiency to the business user. We show new generation companies and forward thinking leaders how to apply the Lean Kanban method and thus become 3 x faster while exceeding the expectations of their own customers. Our web-based software solution possesses the rare combination of comprehensive Kanban boards, flexible Business Rules Engine, amazing collaboration features and powerful analytics module. The first priority of our team is to help you succeed by cultivating a continual improvement and enabling you to generate even more value within your team! Harmonica connects urban people with authentic food. Food that provides energy, keeps us strong and healthy all the while giving pleasure and bliss to the senses. It’s the love and care and responsibility that we put into our production. Our story begins in the summer of 2006 when Maggie Maleeva, a former tennis star, went on a trip to the mountains around the city of Troyan in central Bulgaria, following a story she had heard about the first two organic cow farms. 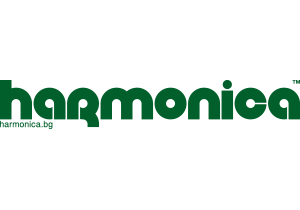 A few years later Harmonica can be found in most supermarkets across Bulgaria, Maggie and her husband Lubo Nokov are still the owners of the company and the two farms are still supplying daily their organic milk. We are constantly discovering new horizons and looking for innovations.